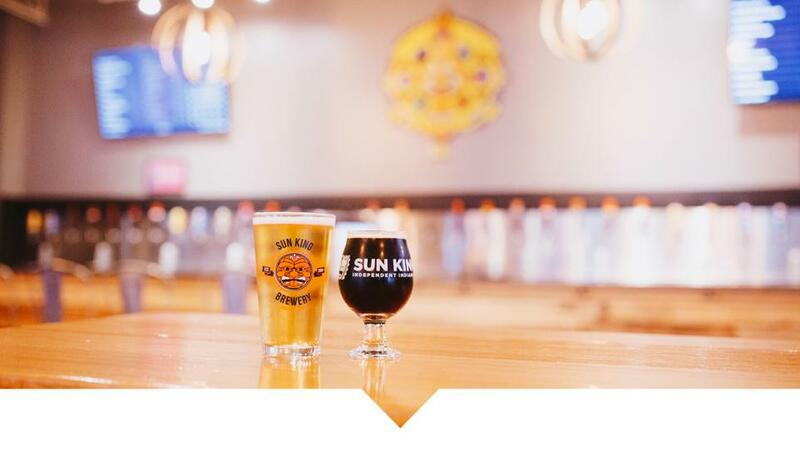 Sun King and Oca go together like peanut butter and jelly; the partnership between the two companies has blossomed into something spectacular over the past few years. Oca’s gourmet assortment of sausage sandwiches, meats, cheeses and other nibbles and bites is the main reason there is an Oca location in all Sun King locations. A cold pint and an order of food from Oca is perfect after a long walk on the Monon Trail in Carmel or a long day exploring the Carmel Arts & Design District. Yet, how does one maximize the amazing partnership between Sun King and Oca? 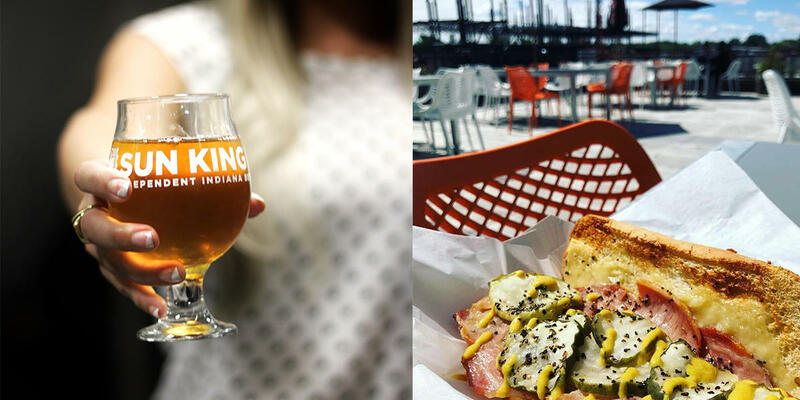 By pairing some of Oca’s mouthwatering sandwiches with the perfect pint of fresh Sun King beer, of course. Not quite a foodie or beer connoisseur yet? No worries. We have you covered with some of our favorite Oca and Sun King pairings below. Bon appétit! This sandwich brings rich smoky flavor with a little bit of kick directly to your taste buds. 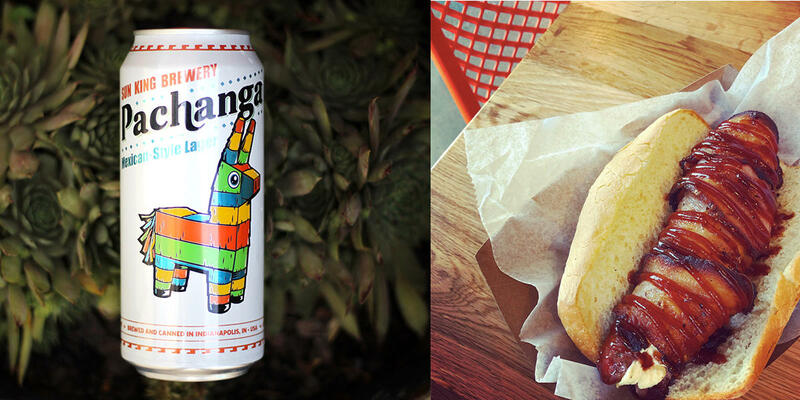 The flavorful sensation pairs excellent with a Pachanga Mexican Style Lager or a Sunlight Cream Ale. These beers go well with a wide range of sausages and complement foods that are able to blend smoky and spicy flavors. This sandwich is perfect for any pork lover or true Butler Bulldog fan at heart. The intensity of the pork fat and flavor in this sandwich will be able to stand up to strong beer characteristics. For this sandwich, we suggest you pair it with an SKB IPA. The bitterness of the hops will complement the pork and swiss flavors. To really blast your taste buds into outer space order this sandwich and pair it with a Lupulin Astronaut IPA, coming in 2019. This sandwich is every beef lover’s dream. The roast beef and meatballs are taken to the next level with the red sauce. It’s almost like an Italian version of the Philly cheese steak and it works very well. To highlight the roasted flavors in the mushrooms and meatballs, we suggest going with a dark and roasty beer. 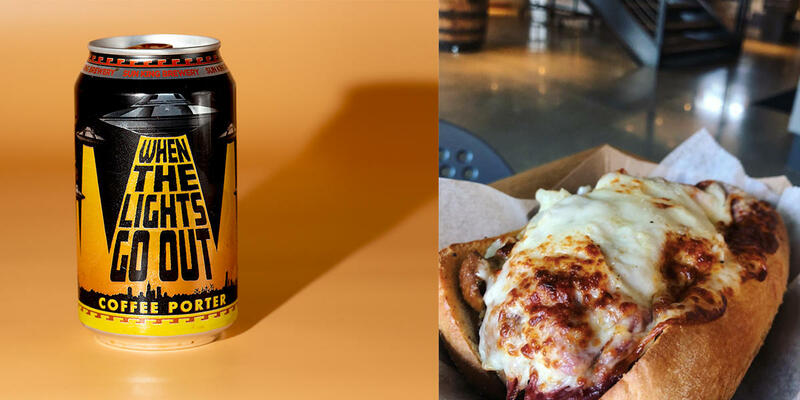 The perfect pairing would be to order a When The Lights Go Out, the roasty and dark characters of the beer will enhance the flavor of the sandwich tenfold. For an even smoother experience, order When The Lights Go out on Nitro, if available. Now that we have you on the edge of your seat and salivating, be sure to check out Oca at the Sun King Fishers Tap Room and Small Batch Brewery or Sun King Spirits in Carmel. Cheers!